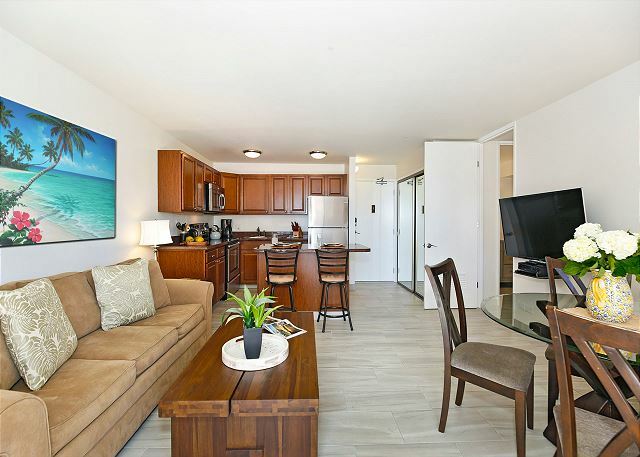 Four Paddle #1704 - Secure 1-bedroom with full kitchen, Washlet, parking & ocean/sunset views! 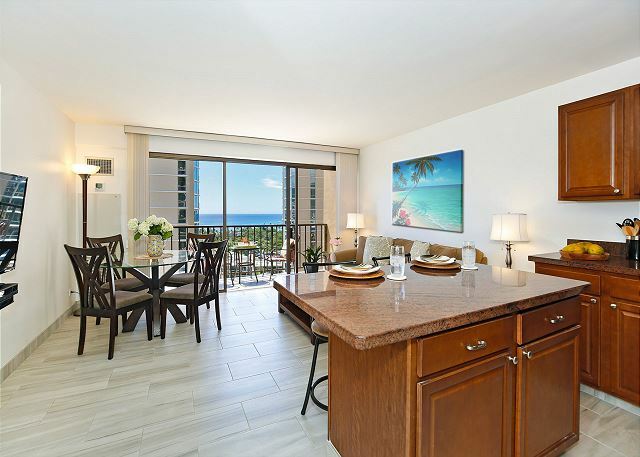 Enjoy partial ocean views and a great location from this newly remodeled, contemporary one-bedroom condo (553 sq.ft. plus lanai) with central A/C and beautiful new ceramic flooring! Nice location. 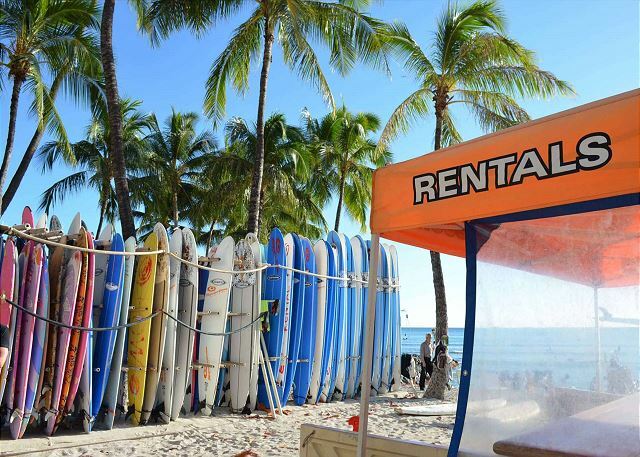 If you don't want to rent a car you can walk to plenty of restaurants, shopping and the beach as well. Mahalo, for the wonderful 5 star review and recommendation! We're delighted to have provided all of the needs you required for an enjoyable stay! 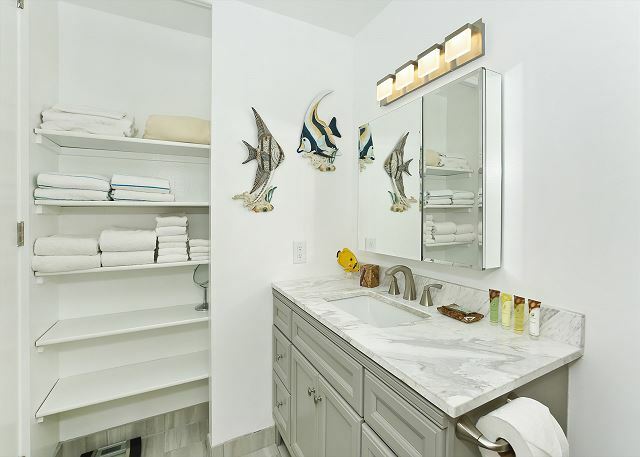 We're so glad that you appreciated the convenient location and decor of this fabulous condo! We look forward to welcoming you back on your next visit! Absolutely pristine apartment in a very neat, tidy and well maintained building. Building security is excellent. Three fast elevators a dedicated vehicle parking stall. Aloha and Welcome back! Mahalo for the wonderful 5 star review! We are pleased that your stay was enjoyable and we met your expectations! Thank you very much for the positive comments. It is always encouraging when customers acknowledge the good work of our team. We look forward to seeing you again soon. 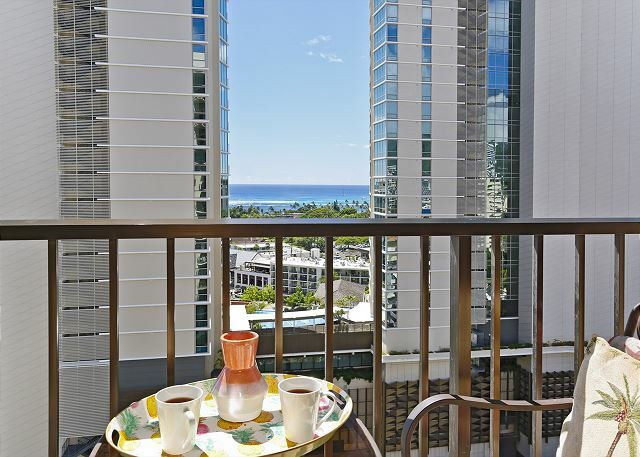 Over the years I have stayed at four condos on Kuhio for work and play. This is by far the best property. Easy check-in and check-out, free parking, full kitchen and convenient lication. Relatively quiet on the street. 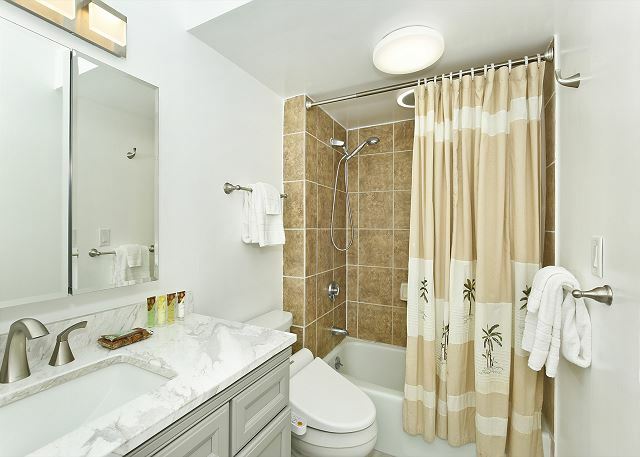 Nice view, King bed, and shower/tub combo. The unit was stocked with everything we could possibly need. Furniture seemed new and the place was clean. We felt very safe and our car and belongings were secure. It was my second time to stay at the same condo unit and was surprised when we enters into a newly renovated unit! Had a great time and would stay there again. Welcome Back! Mahalo for the 5 star review we are so glad you enjoyed your stay! We look forward to seeing you on your next visit! It was my second time staying in this room. The floor and bathroom were renovated and my stay was more comfortable. Paul, who is a staff, is always kind and friendly. Thank you. 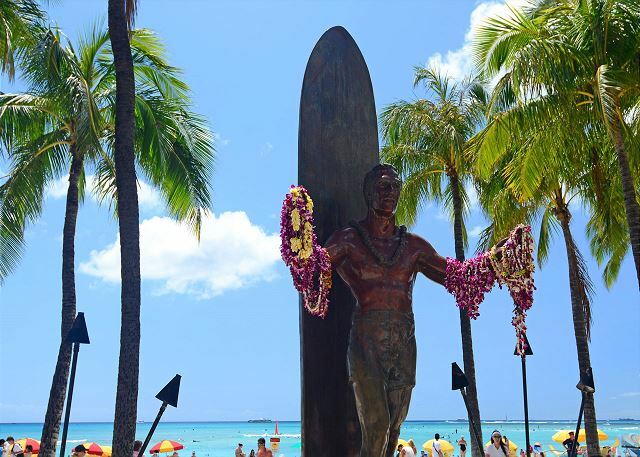 Aloha and welcome back! Mahalo for the wonderful 5 star review! We are pleased that your stay was enjoyable and we exceeded your expectations with the renovations! It’s always encouraging when customers acknowledge the good work of our team. We look forward to seeing you again soon. Everything we needed was provided in the room and the room was very clean. 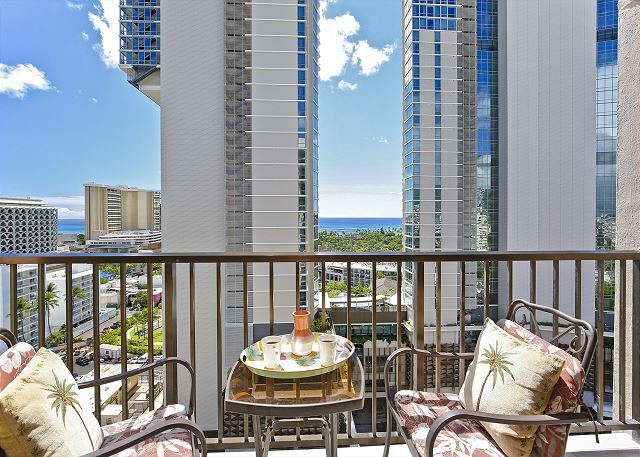 Nicely locatred on Kuhio Ave, only a few blocks from the beach, this condo has everything within a walking distance, such as shopping, beach activities and dining. 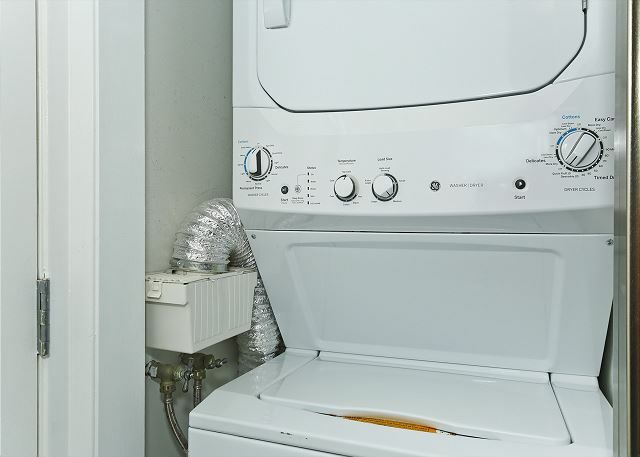 We loved to have a washer and dryer in the room too because we had lots of towels needed washing after having fun at the beach. 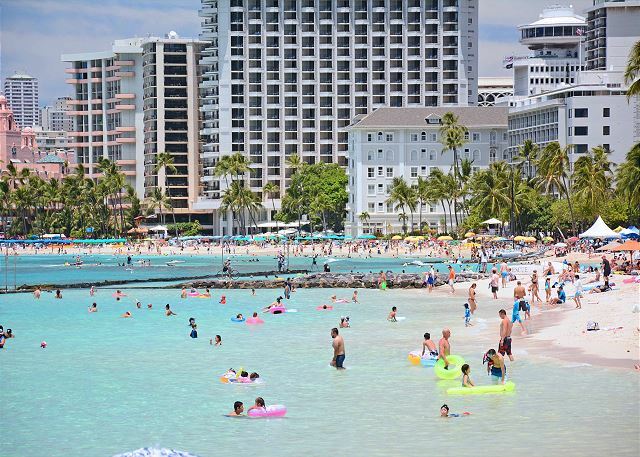 To have a free parking was another treat, because it could cost some $20/night in Waikiki. Although the new Ritz Carlton is now under construction right across the street, we still enjoyed a partial ocean view from the lanai. We would definitely come back next time. Mahalo, for the wonderful 5 star review and recommendation! We're delighted to have provided all of the needs you required for an enjoyable stay! It makes our day to read such an enthusiastic review and we're so glad that you appreciated the convenient location, washer and dryer and free parking of the fabulous condo! We look forward to your next visit! It was a very wonderful room. First of all, it is comfortable every day that there are many things such as the fact that you can see the sea from the room, both the room and the parking lot are very close from the elevator, the security of the entrance and parking lot is solid I could do it. 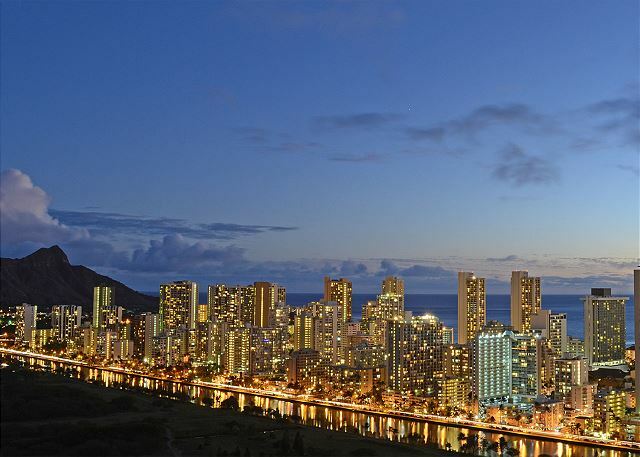 Also, because it faces Kuhio Street, it is easy to go out by car, and even if you walk you can reach Kahala Street in a few minutes. This is the location where the ocean can be seen, this fee is the best. And Paul, thank you! Thank you very much for the positive comments. So glad to hear you appreciated the location and parking of this great condo. We work hard to offer great accommodations and service, and we're so glad your visit was enjoyable. I will pass your feedback onto the team, and we look forward to your next visit! P.S. We think Paul is super to work with too! It was a wonderful unit. Very clean except the shower is too dark. Construction for ritzcarlton still in progress so it's very noisy. Mahalo, Agnes! We appreciate the 5 star review and feedback, we will look forward to your next visit! Lovely condo with super service by Captain Cook. Quality kitchen, comfy beds and super clean and well appointed. 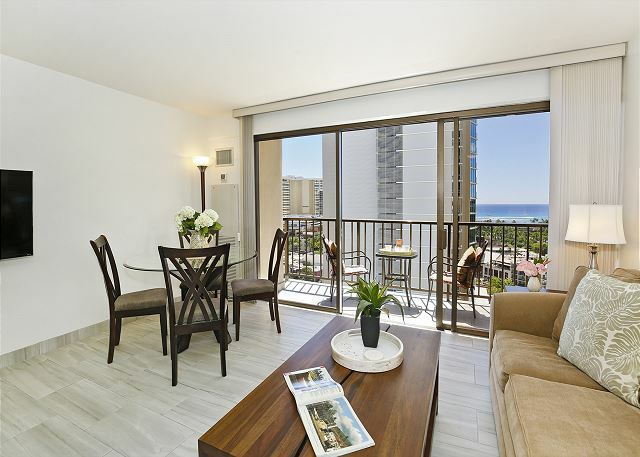 We have stayed in Waikiki a number of times and were really pleased with this condo. It was very clean, well managed, with great security. The view was good (unfortunately new construction across the street - but where isn't construction) but we can still see the ocean which is a plus. Parking was included but the stall for this unit was a challenge. If you do get a car and stay here be sure to get a small car!! Otherwise everything was fantastic! Checking in was easy. This was our first time in Hawaii. We loved the location. It was great to have parking as well. The sunset views are no more because of a new building but you are only 2 blocks from the beach. There is a bus stop right outside the building to get you almost anywhere. If we come back to this island we will stay here. Mahalo for the great review, Wesley! Happy to hear you appreciated the great location and free parking! Hope you can visit us again soon! I was satisfied this property. 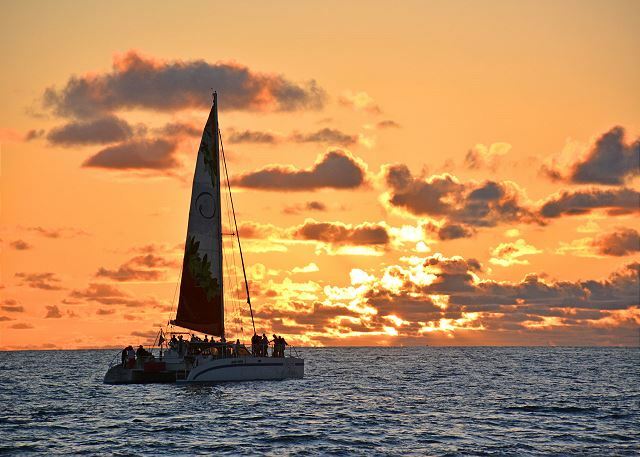 Mahalo, we look forward to having you back for your next vacation! Everything about the condo was great but, the construction was a bothersome. 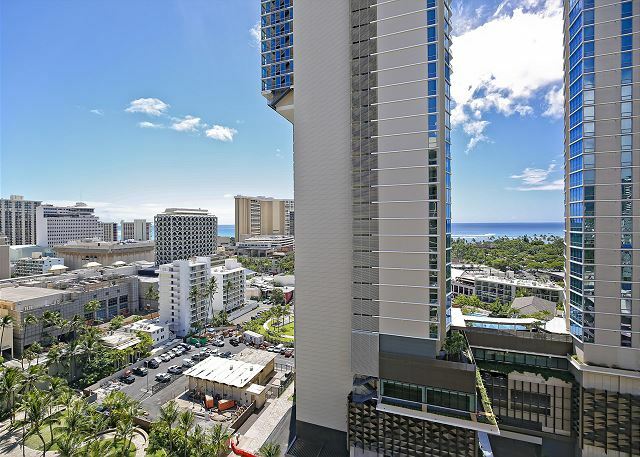 It's too bad the ocean view will be blocked after the completion of the Ritz second tower. I would recomend if ocean view is not the priority when choosing a vacation rental. Mahalo for sharing your comments about your recent stay at Four Paddle. We are happy that you enjoyed the condo and accommodations. 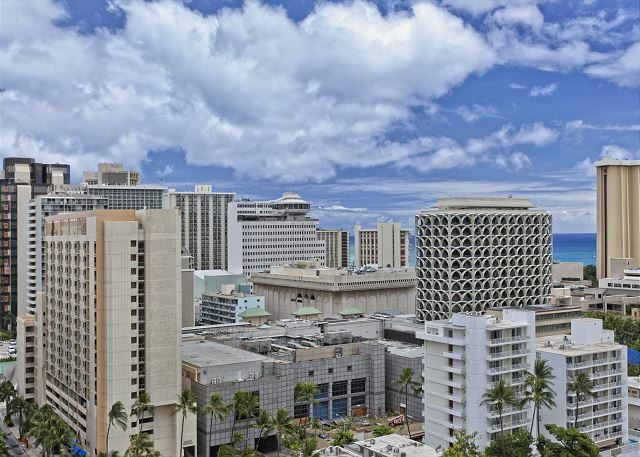 Waikiki is expanding and we can understand your frustration and disappointment with new construction. Again, thank you for taking the time to respond and we look forward to your return visit to our beautiful Islands. Very clean and full equipped condo. Parking was included. 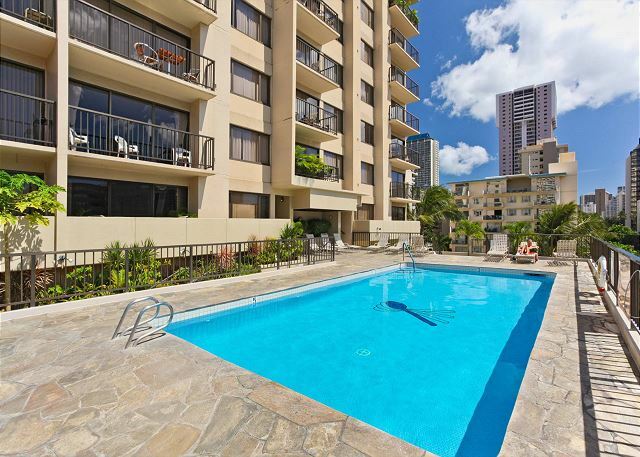 Perfectly located in downtown Waikiki close to everything. We had a great stay! Mahalo, Dany! We appreciate your comments! It was used and preferred in 2015, so it was used again. A hanger of clothes decreased and was regrettable this year. I think the environment that the hand shower and bidet are easy to use for Japanese. I'd like also to designate this room next time. 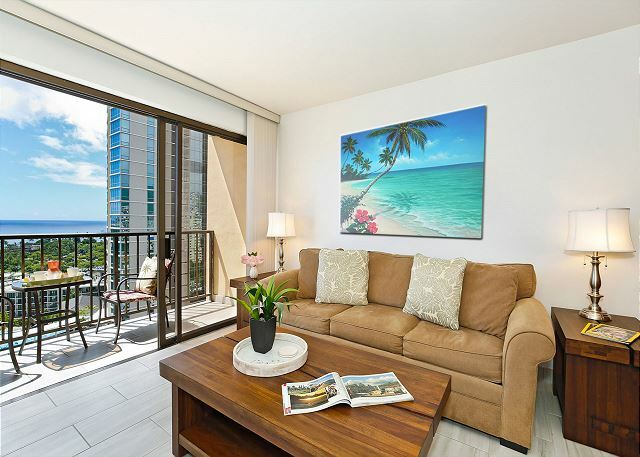 Super condo - just right for our visit - perfect for a Honolulu stay. Was just far enough from all of the action that you felt like you were getting away, yet close enough to be there in a flash when you wanted to join the masses! Photos depict exactly as condo was, however you can't see CLEAN in photos - and the condo was spotless. Paul met us in timely fashion and gave us lowdown on what was where, how to get in and out of building, parking, etc. We only went to recreation deck a couple of times, but was great to be able to use gas grills there and pool/hot tub. Security was evident at all times right in the lobby, which was nice. Lots of restaurants and shops within very short walking distance. Even though we had a rental car (and parked it in spot for #1704) we easily used UBER to go to a few that were further away. All the UBER drivers were familiar with the location of Four Paddle. Thai restaurant around the corner is great! Also appreciated that there was guest parking right near lobby so friends could visit us easily (no overnight guest parking except for the slot for #1704). While we were there construction was ongoing across the street however it had ZERO impact on our stay. We travel a lot and this was one place that was even better than advertised. It's not a resort, it's a residential building, but it has the amenities of a resort (pool, hot tub, lovely deck, room fully stocked with beach chairs, beach towels, ability to cook with all utensils, in-suite laundry, etc. - which most resorts don't have). Only two of us stayed so did not use sleeper sofa. But did have guests over and having dining table and bar area (total sit down for six) was nice to be able to entertain people IN the condo. Would stay here again - and plan to! Mahalo, Erin, for the wonderful review! Really enjoyed your comments, too! Hope you can visit us again soon! This place was excellent. We were a family of four with two teenage boys. There was plenty of room (we used a blow up mattress for one and the hideaway for the other). Place was clean, air conditioning worked well, the views were great, Paul (manager) was friendly and helpful, location was excellent. Washer/dryer was a HUGE plus. 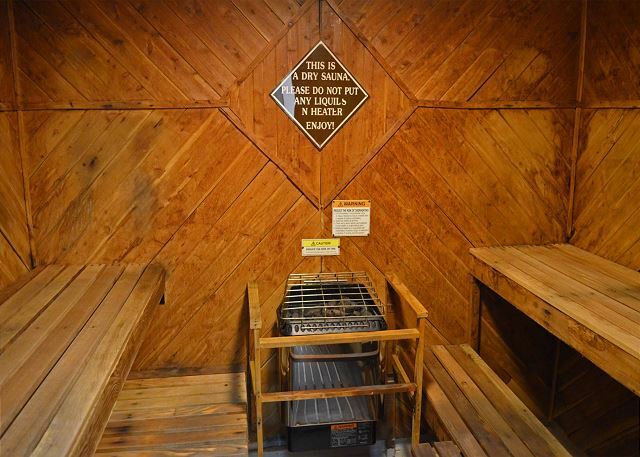 You will not be disappointed with this condo. Mahalo, Craig, for the 5-star review and recommendation! We really appreciate it! Hope you all will be able to visit us again soon! 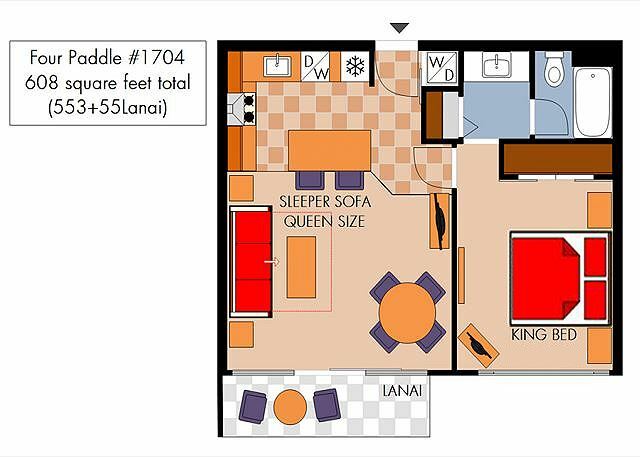 Great value--beautiful and comfortable space. Mahalo, Darrin! Come visit us again any time! The unit was super clean when we arrived. Had everything we needed from a full kitchen w/ everything needed & a breakfast island w/ 2 stools, large living area w/table & chairs for 4, pull-out sofa couch, a good sized bedroom w/ comfortable King bed & storage. The bathroom was small but functionable, very clean as well & had storage also. Lots of new, super fluffy towels.. And a bonus, 4 nice big beach towels, kick boards, & beach chairs that we put to good use!! The lanai had a tiled floor, which may keeping it clean easier, comfortable padded chairs & a glass topped table. Was super convenient to have a full sized washer and dryer in the unit. The unit quickly turned into our home away from home. Very comfortable. This unit still has a fairly good view out and over the ocean. Construction was a little noisy at times, but face it, you don't spend the days in your room. And it did give you something to watch, as you enjoyed your coffee on the lanai!! This is our 2nd year booking at Four Paddles with Captain Cook. From the office staff to Paul, the property manager, we were treated superbly. Everything was awesome and as said it would be. The Four Paddle complex itself, is managed very well. Secured entry and 24 hr security. 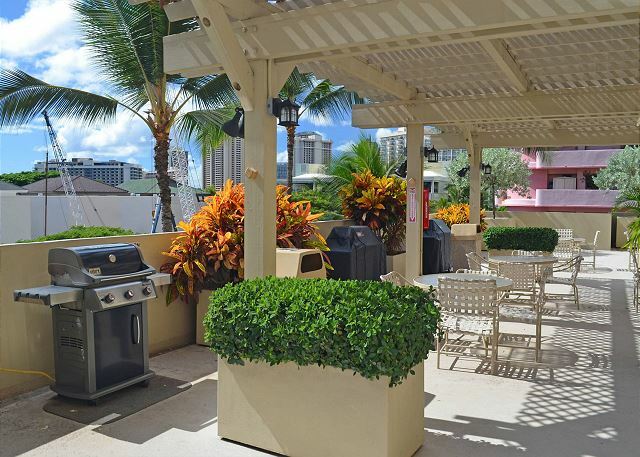 There's parking if you need it, efficient elevators, great pool and sun deck area along with a very large bbq outdoor eating area. Everything is very well maintained and kept extremely clean by the complex staff. 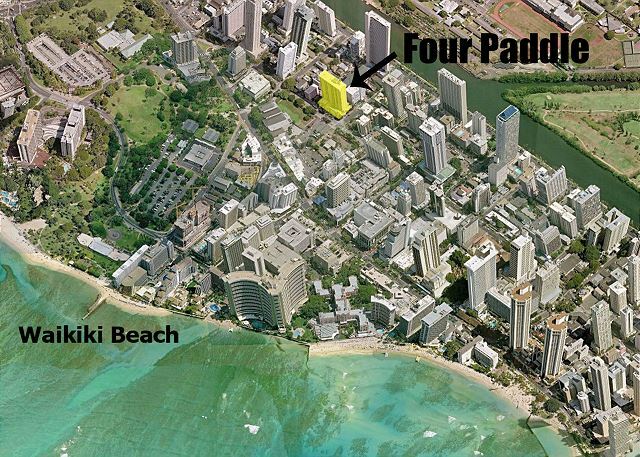 The Four Paddle is very convenient to everything in Waikiki. We love to walk to as much as we can and really enjoyed the close proximity to everything that we had staying here. It is also a bit quieter at night, just being off the busy streets. Thoroughly enjoyed our stay here again, and are already looking to returning next winter. Thank you so much, Brenda, for the thorough (and thoroughly wonderful!) review! We really appreciate first-hand comments from our guests who have "been there, done that!" 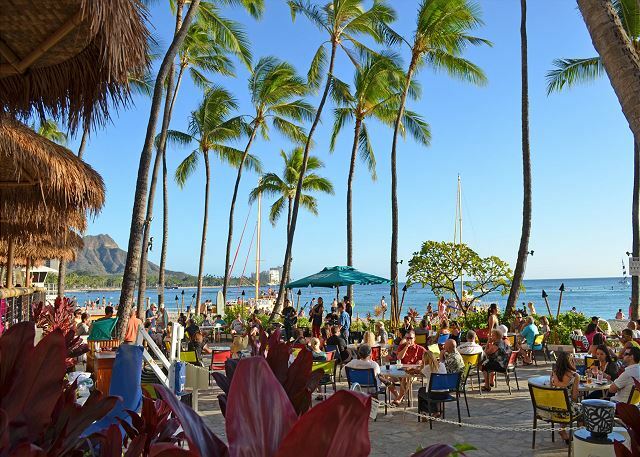 As a valued repeat guest, we hope you will accept our mahalo for being a BIG part of our continued success! Looking forward to your next visit! Condo unit was very nice, clean and homey. The building is very nice. The only issue was the construction on the new buildings in front of the Four Paddles started construction at 5:30 a.m.
We had a great time staying at Captain Cook Resorts! Everything was fresh and clean, the beds were comfortable, and the view was spectacular! Also, the security staff was pleasant about letting me in when I had forgotten my key. The property managers were very flexible with our flight times- we are so appreciative! I would definitely stay again! Mahalo, Aleyta, for the great review and recommendation! Happy to hear your stay was everything you had hoped! We look forward to hosting you again! Mahalo, John, for the great review! See you next time! The Four Paddle 1704 was an excellent accommodation for my Husband and two teenage girls. We were presently surprised by the "extras" bogy boards, beach chairs, cooler. All this made for a very enjoyable experience. Would highly recommend! The location was prefect however, the construction noises woke us up every morning except Sunday. But the overall it was satisfied. My family and I enjoyed our stay at the four paddle. Tenants in the building were very friendly and welcoming. I will recommend Captain Cook to my friends. The smartphone app was very helpful. Mahalo for the positive comments and recommendation! We work hard to offer great accommodations and service, and we're so glad your stay was enjoyable. Glad to hear you enjoyed our free smartphone app, too! Very clean and well maintained unit. Loved all the amenities. Close to the beach, shopping and restaurants. Parking spot provided and 24hr security. Management was great to deal with. Had a very enjoyable stay! Looking forward to coming back next year. We booked our unit at the last minute and Capt. Cook Mgmnt was very accommodating, professional and efficient. Mahalo for the great review and recommendation! We hope to hear from you when you're able to visit again! It was short stay and busy for my daughter's wedding. It was cozy and convenient location as usual. Mahalo! And congratulations on the marriage of your daughter! We hope you can return to visit soon! Very clean unit, well stocked with dishes, linens, towels. Close to beach, restaurants, and shopping. Would be nice if there was a wireless printer in unit or at front desk to print boarding passes and tickets to activities. Unit had all the beach supplies required to spend a day at the beach. Elevators were quick. Parking was close to elevator for this unit. Nice smart tv in living room. The location is perfect. Short walk to the beach. 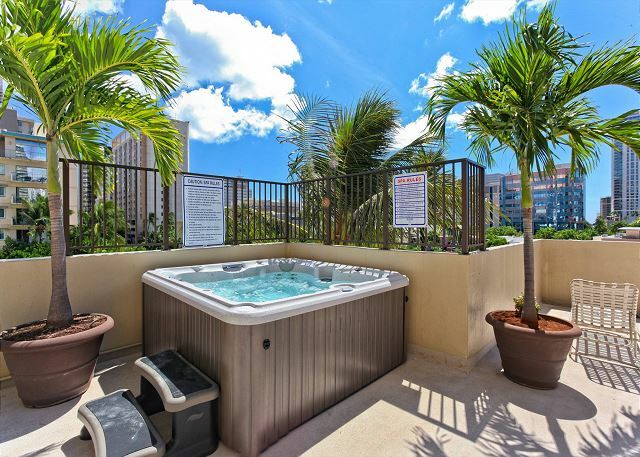 The unit comes with parking, washer\dryer, ocean view, full size kitchen and 24 hour doorman service. What else can I ask for? What a wonderful stay in Waikiki. We loved the property and the view of the ocean was fabulous. It is heart breaking that the Ritz-Carlton building is going to ruin the views. Everyone on the property was great, from our introduction with the property manager to the security guard and anyone we met in the elevators, it was just like we lived there. The unit itself was extremely nice, very clean, well equipped, a beautiful kitchen area, and the internet and TV worked very well. This is the fourth year we have stayed at Four Paddle in the same unit. We really enjoy our stay every year. The owner has decided to only rent by the day in the future which increases the cost significantly for a month so we will be moving to another unit next year. The building is a favorite with Canadians and the residents as opposed to the visitors are very friendly. We will stay here as long as we can afford it. The property was very well located for sightseeing, the beach and shopping. The rental company was very efficient meeting us upon arrival. Having an assigned parking space was very helpful since we prefer driving to taking a bus all over the island. The condo we rented had a lot of live roaches and that made our stay little uncomfortable. There were roaches in the dishwashers, on the shelves, kitchen sink and moving all over the vessels and that scared us from using any of the appliances. No complaints at all. A thing for third person to think of is very soft sofa bed, it must be common to sofa bed itself, not particular to one in this room. From time of reservation to check-in on-site, the Resort offered Japanese speaking staff, both were helpful, all went seamless. Great location and well maintained building and unit. Suggestions for improvements - clean the water reservoir for the dryer (I scraped with a knife but not totally successful) replace some of the well worn water glasses,check to make sure cooking utensils have been properly cleaned as well as soap dish in bathroom, repair lock on patio door. We thoroughly enjoyed our one month stay in this unit for the second time. The management and security staff was friendly and helpful. The units were beautiful and clean. The amenities and distance to the beach were great. We'd stay there again and for sure use Cooke to book our stay. This unit is in an excellent location, well maintained and clean building. Vacation here annually. We enjoyed our time here, fireworks on friday night, great restaurants and beach access within easy walking distance. Extremely pleased with the building and location. From the time we arrived until we left we encountered no problems. The building was well maintained and centrally located so that we could enjoy the beach and still had easy access to Don Quiote for groceries. We will staying in the same unit in 2012. We loved the property that we stayed in. It was very clean and they had all the stuff you need when you first arrive so you don't have to worry about running to the store the night you land. The location was great. 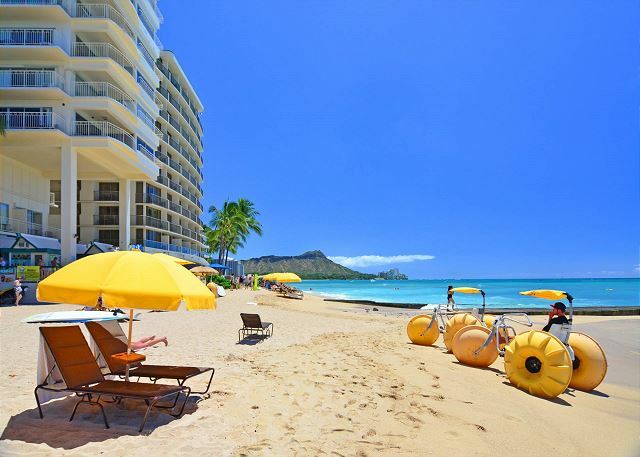 Close enough to walk to Kuhio beach and all the Waikiki sights. lanai; however, it's quiet inside. Would definitely go back to this one. Overall we were very happy with the condo and location. The only problem we had was the sofa bed. It needs replacing as you could feel the springs coming through.